Office Space - Geneva (New York), New York. Business centre offering a variety of spaces and services to help your business needs. On-site internet, meeting rooms and management team on-site. Flex-terms available. 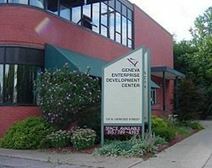 The building has easy access and is close to Seneca Lake.